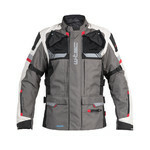 Made of a comfortable and functional softshell material, the Men’s Softshell Moto Jacket W-TEC Rokosh GS-1758 is windproof, pleasant to touch and easy to maintain. The certified elbow, shoulder and back protectors keep the rider safe. However, the protectors can be removed, turning this jacket into a stylish and comfortable piece of outdoor/everyday clothing. The thermal liner can also be removed. 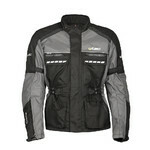 Moreover, this jacket also features 4 air vents with waterproof zippers, making it perfect even for the hot summer days. You may also appreciate the 6 practical, ergonomically placed pockets for storing additional items. The adjustable waist, hips and sleeves make the jacket even more functional. 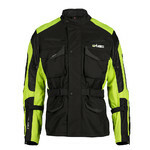 The Men’s Softshell Moto Jacket W-TEC Rokosh GS-1758 can be used from the spring through the fall. 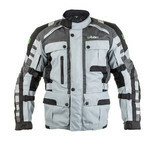 This jacket is perfect for those looking for a functional and comfortable piece of clothing which would make them look good on their motorcycle.